With the leaves changing, fall is officially upon us. Each year, I reach for my favourite soup recipes to make and stock up the freezer for those cooler months ahead. There is something truly comforting with being able to cozy up after a long day and enjoy a heart warming soup. This past weekend, my mom and I spent much of our time making different soups, so I am quite stocked for a while now (super thrilled about this!). 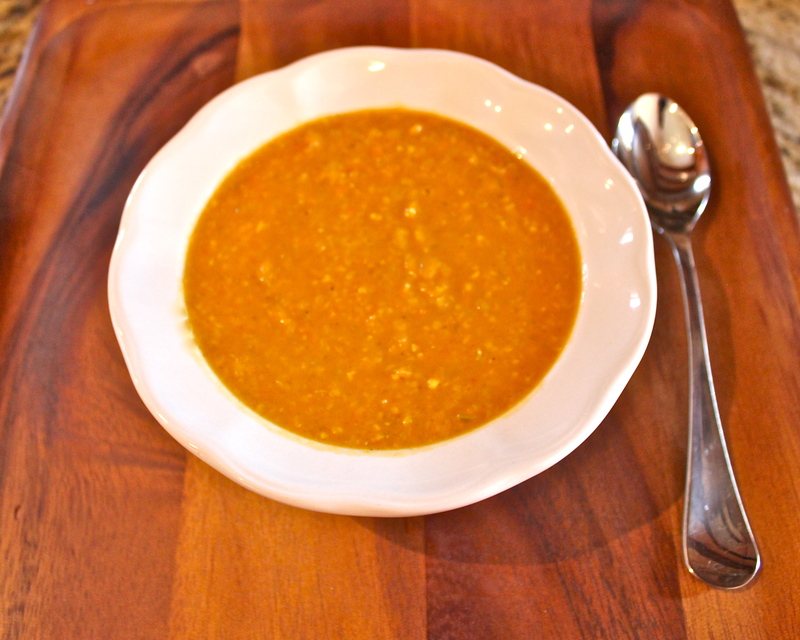 We made a hearty cabbage soup, a sweet butternut squash soup and a spicy sweet potato corn bisque. Preheat the oven to 425 degrees. Lightly oil baking sheet. Pour 2 tbsp of the cocnut oil into large bowl. Toss in the sweet potatoes and season with salt & pepper. Transfer to baking sheet and bake until tender, approx 30 minutes. Meanwhile, heat remaining oil in a large pot over med-high heat. Add onion, celery, carrots. Cook until onion is translucent, approx 3 minutes. Add garlic and spices and stir. Add stock and coconut milk and bring to a boil. Reduce heat and simmer 10 minutes. 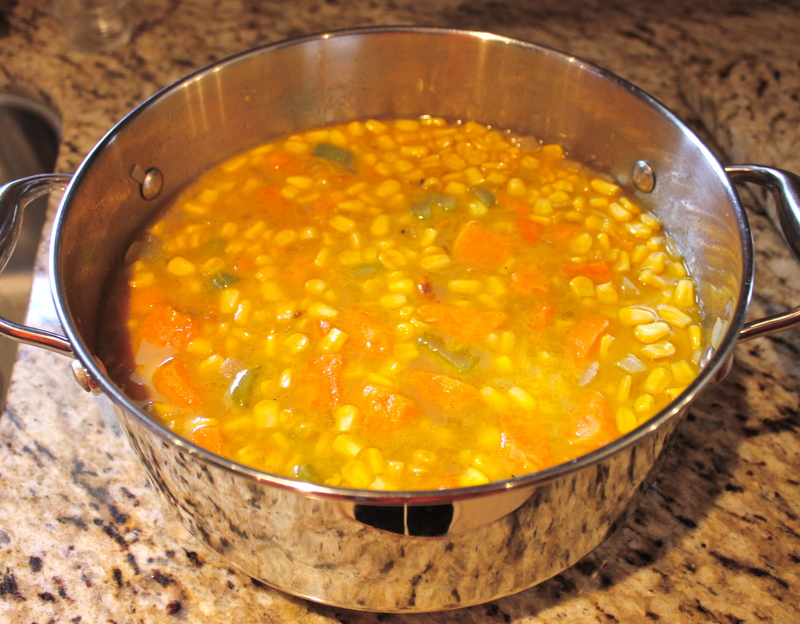 Add cooked sweet potatoes and corn and continue to cook 10 minutes longer or until corn is tender. Puree 1/2 of soup or leave chunky. Serve warm or freeze in individual portions for easy meals in the weeks ahead. Yields 6-8 servings.